perfect place to stay , nice view and best meals here Recommended!!! This was the first stop of our trip after landing in England and we were glad for the peace and quiet that the hotel and location provided. We rented a car, and highly suggest that to do that as we needed to drive to get around to the neigbouring towns. Our room had a beautiful view and we enjoyed having a relaxing breakfast in the glass house and going for walks nearby. I would only suggest that the hotel provided more information on restaurants / cafes nearby as we struggled a little with finding good food nearby. We stayed one night. The room is very quiet and clean. We enjoyed the dinner and the breakfast very much. 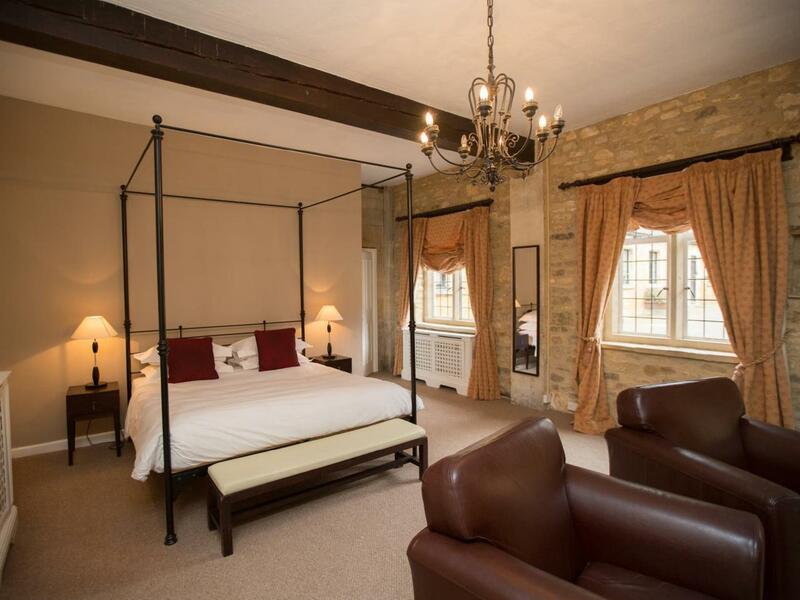 We stayed in the coach house and the room was huge, the good in the restaurant is brilliant and we loved the location as it is so close to all the north Cotswold villages. We stayed for a wedding nearby and we're very happy with the hotel, it was a beautiful and interesting old building, the rooms were pleasant and comfortable and the staff very helpful. They allowed our party to change for the wedding in the spa facilities on arrival as our rooms were not yet ready. A lovely experience all in all. Overall a beautiful place to stay. Quaint and lovely bar and well decorated interior, except the hotel rooms interior which were stark and cold- though modern and clean, not what we were looking for when we planned our stay in the Cotswolds. The staff is a bit unattentive and slow, but still friendly. Loved the location though you'll still have to find a taxi to take you into stow or bourton if you don't fancy a lengthy walk ( over an hour). When we arrived at the hotel, we got told there was a wedding on and we would be staying in the courtyard area, not in the main hotel. We asked if we could make a dinner reservation and got told due to the wedding it was full(?) when we got to the most basic room I have ever stayed in, I was shocked. For a '4* hotel' although there may have been a kettle in the room with the smallest cable that u had to move from the table to the floor to plug in, as the cable was about 10cm long and the plug socket was on the floor..not the best for health and safety, there was no sign of a mini bar, never mind a bottle of water (I thought for a 4* u had certain catchments and I thought a mini bar was one, or a lift in the hotel which they didnt seem to have or I didn't see). when I went to lay on the bed, I nearly hit the slacks on the bed the mattress was so soft. When we tried to ask at reception about any water, all the staff were running round like headless chickens with the wedding party that had just arrived and not attending to other guests when we finally got told, no we dont provide water in the room. A waiter did eventually get us a drink on the house for any inconvenience. When I went to shower, the shower head was broken and held together with a screw to keep it held up, not the most convenient, plus the shower leaked all over the floor because it couldnt be moved. Breakfast the next morning was like being served by manuelle, we got the other tables butter, we had no milk then got 2 jugs and the food was just far too greasy and actually inedible and had to leave most of it, in fact saw most people around felt the same. Most of the waiters werent English and looked at u strange when u asked for something.This was supposed to be a romantic night away and in fact just felt ruined. We told the receptionist the next morning on check out and said she would note the points, but doubt anything would be done. All in all a very disappointing stay. The hotel room was a great size and the bed was comfy. The only thing which marred our stay was the fact I had to have a Luke warm shower at night as there was no hot water, given that it was cold and snowy this was not very nice. The staff were all helpful and courteous. The surrounding area including the town of Stow is beautiful. 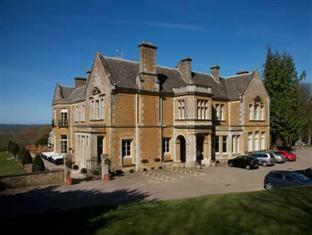 Hotel was good value fort the money and nicely located. Hotel bedroom very nice, hotel quiet and central to Cotswold attractions, easy to find. Bar serrvice slow and felt Dinner was not value for money as portions too small. Would stay again but eat in a local Restaurant instead. Breakfast was nice. Agoda b&b price excellent value for money.